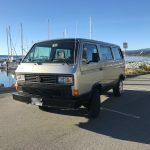 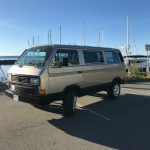 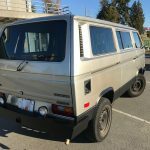 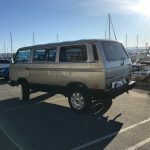 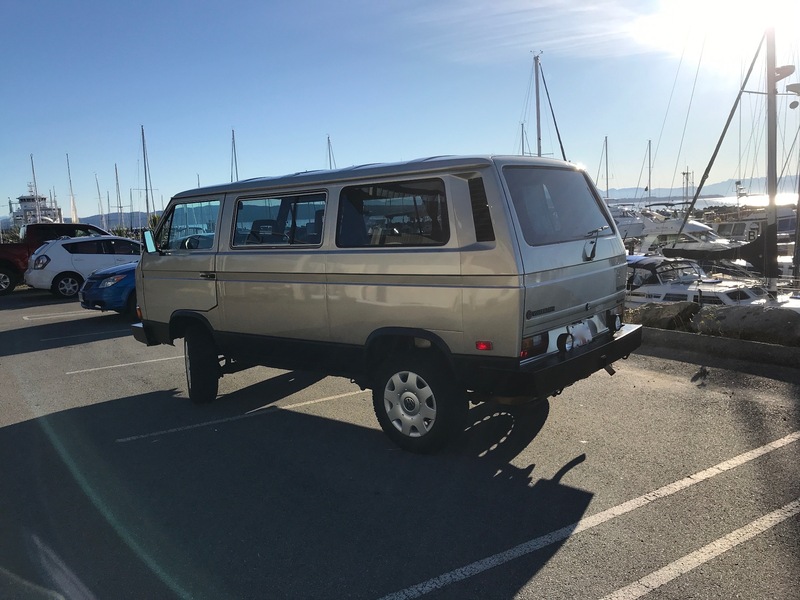 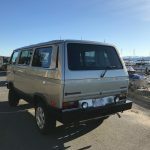 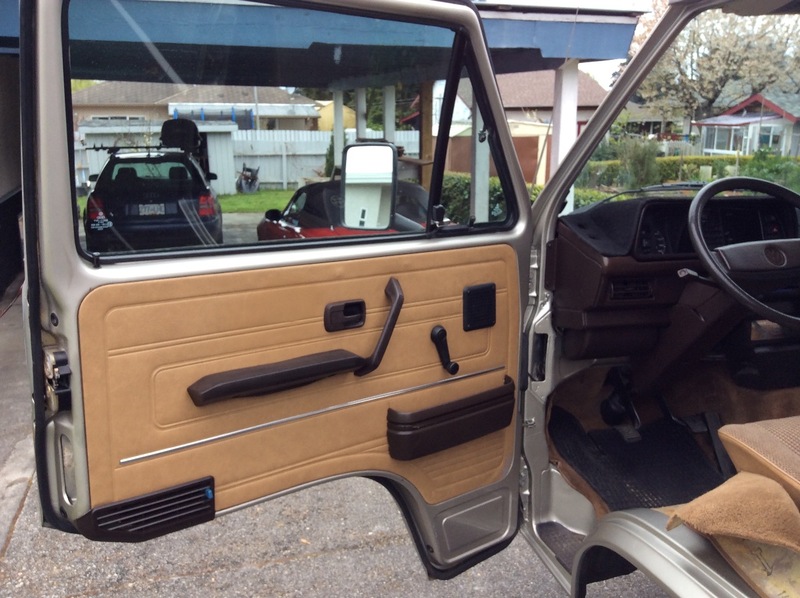 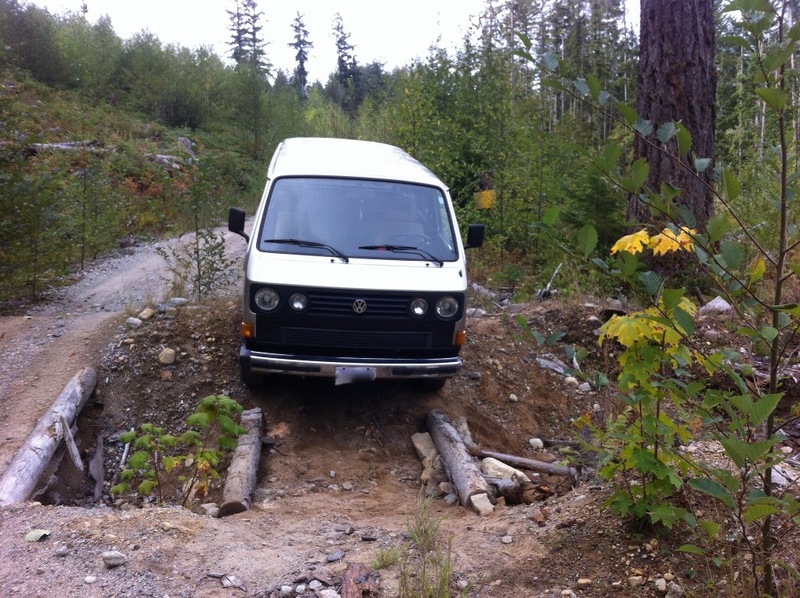 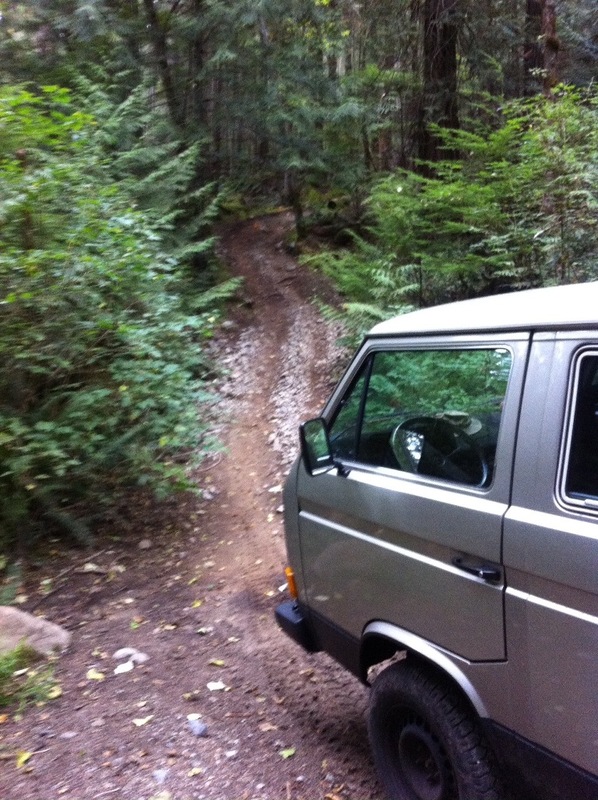 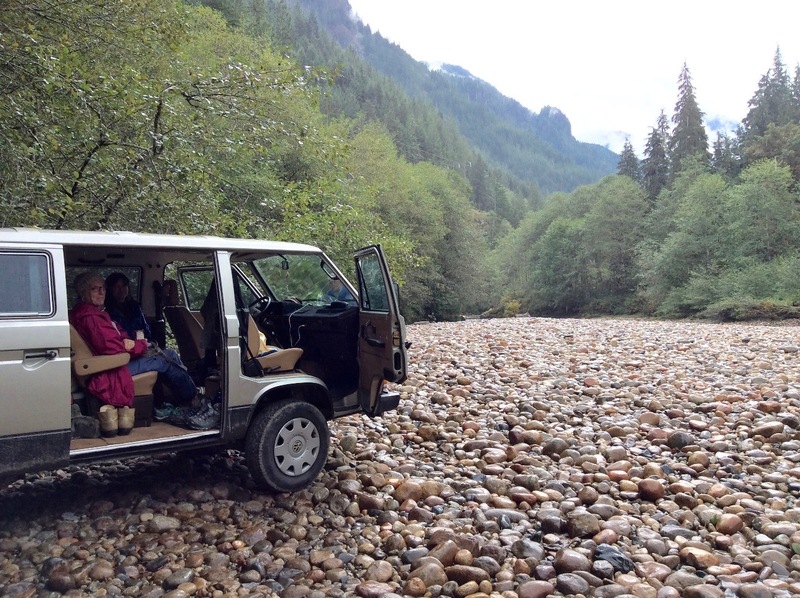 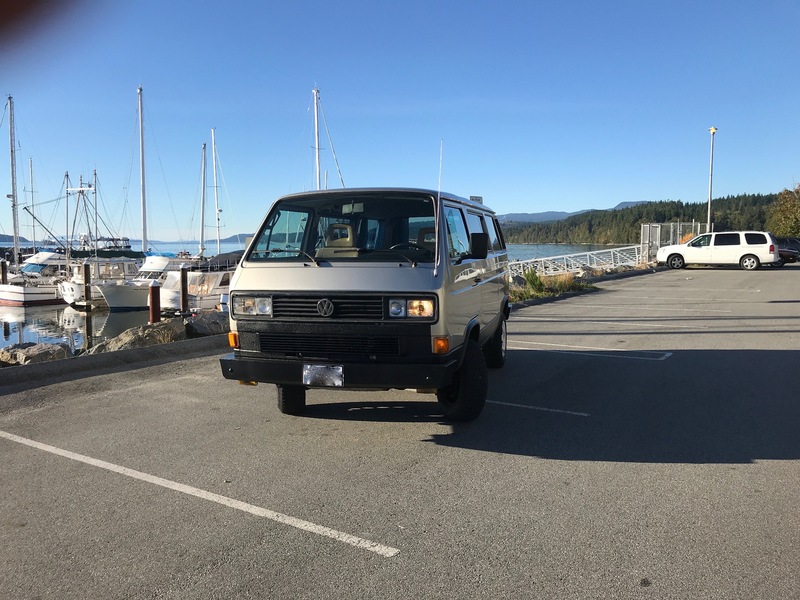 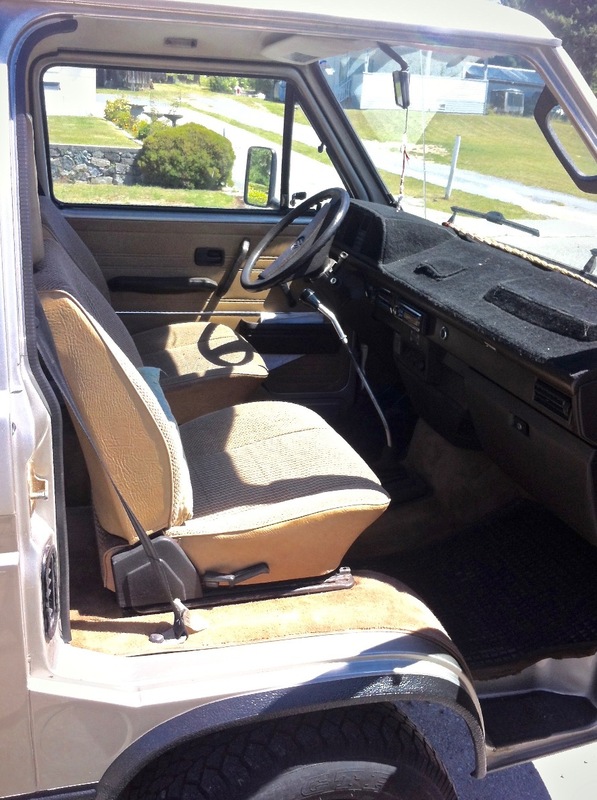 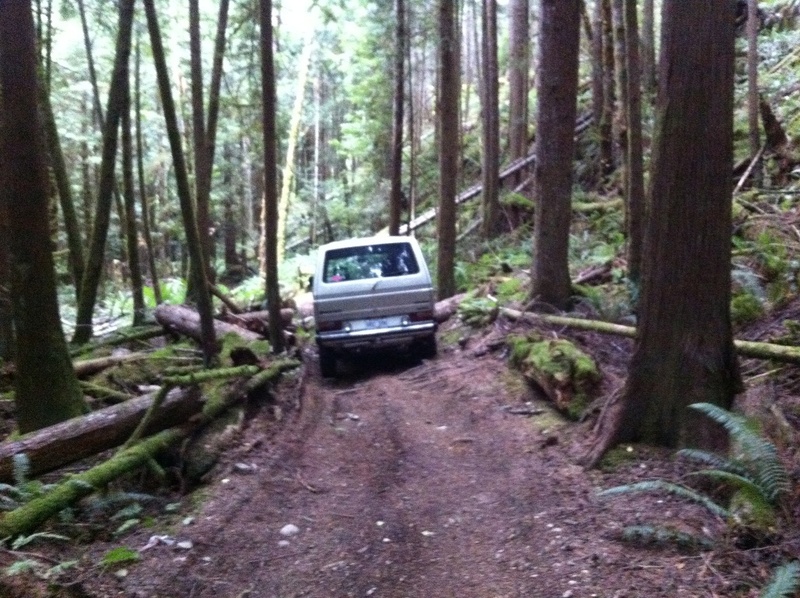 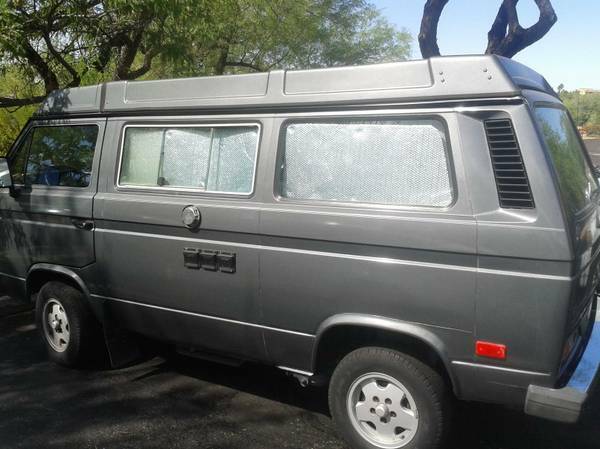 Selling my 2.1 L Syncro w/16″ wheels, rear locking differential. 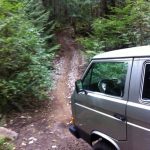 We’d be keeping it were it not for a health condition that makes my gimpy left leg increasingly sore if I have to work a clutch. 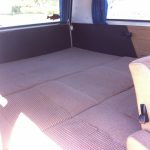 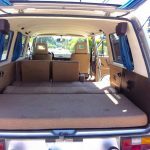 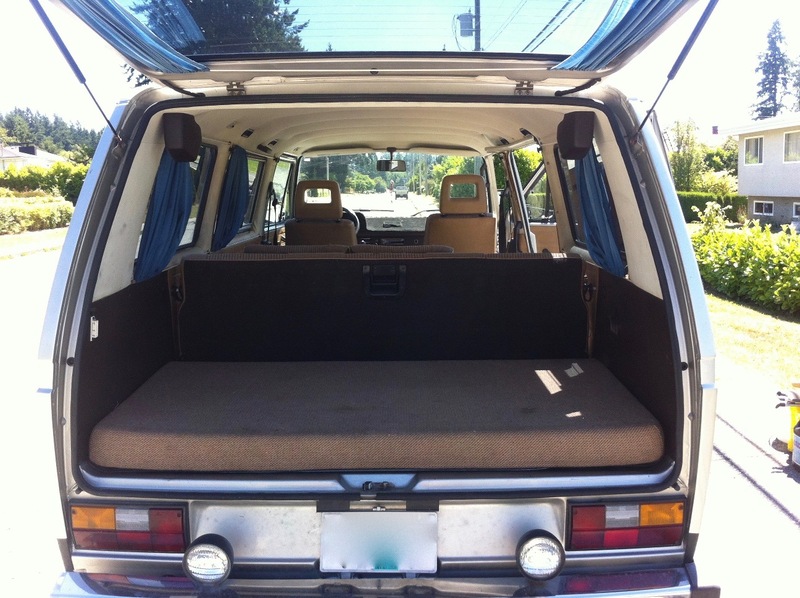 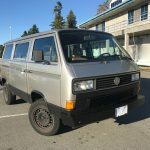 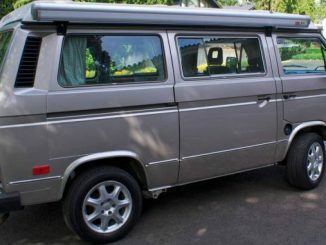 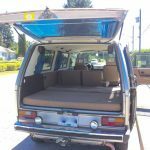 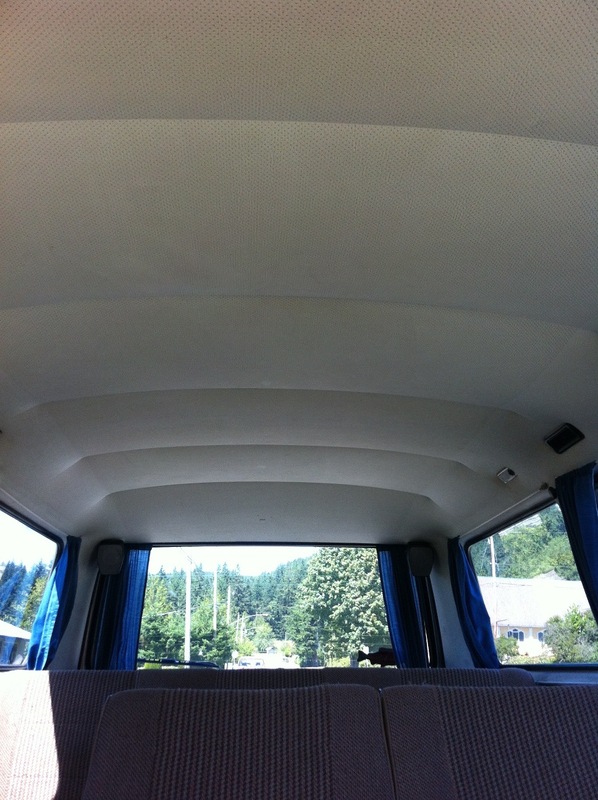 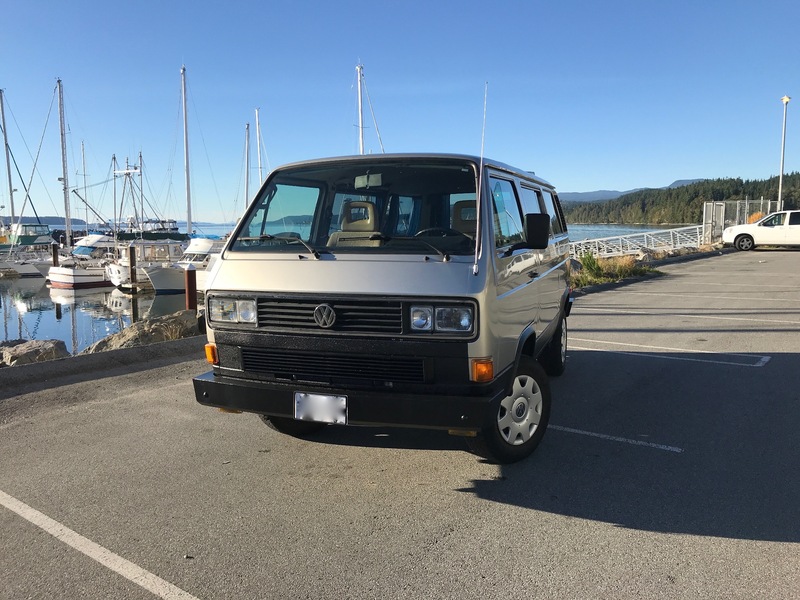 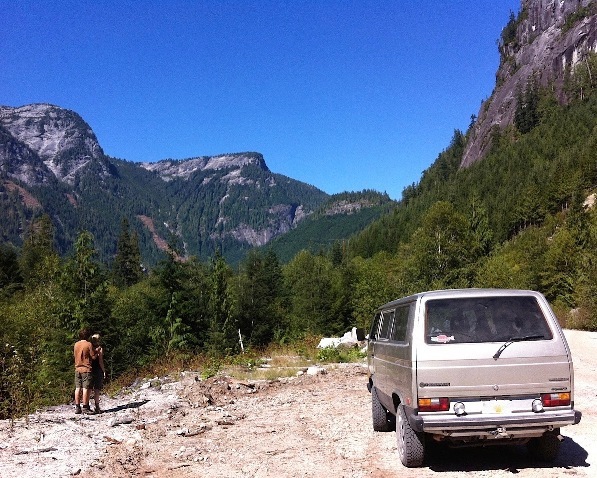 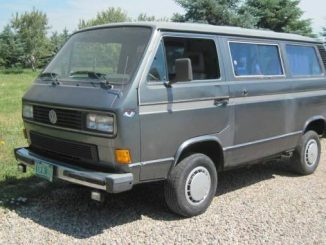 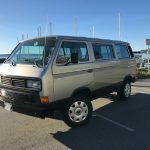 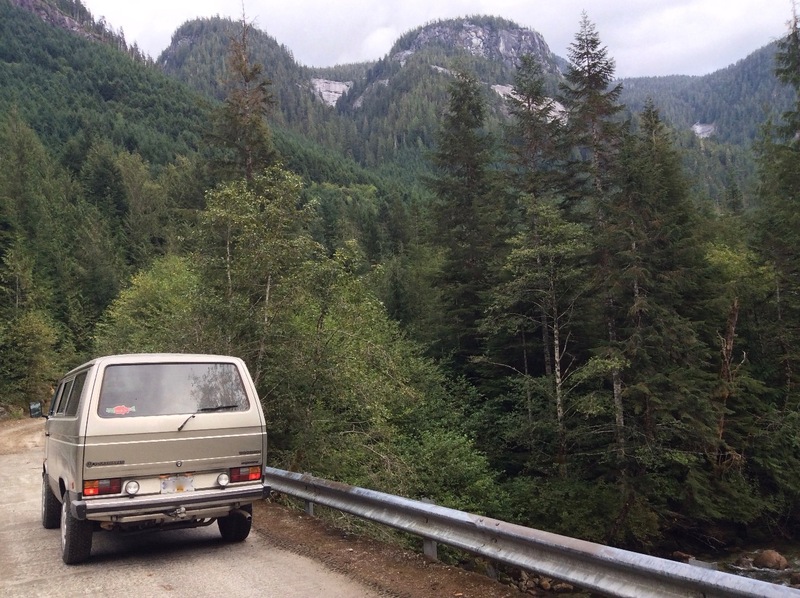 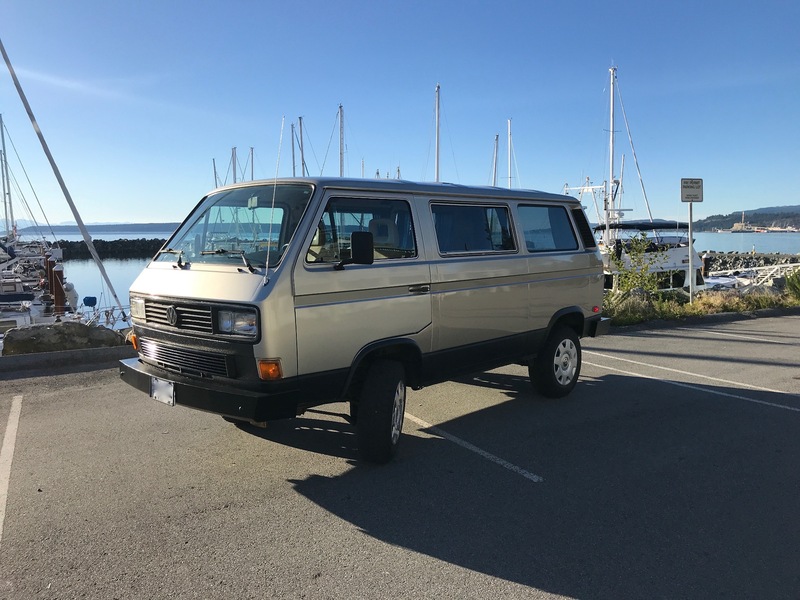 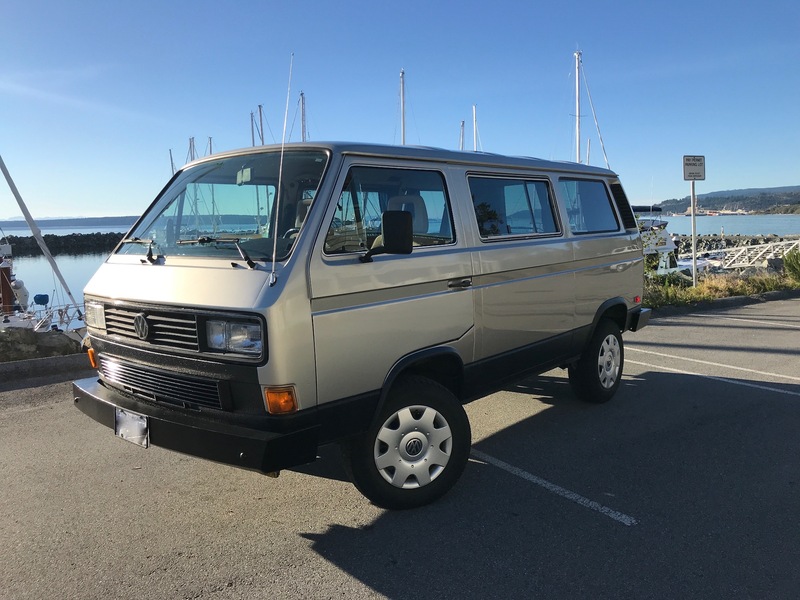 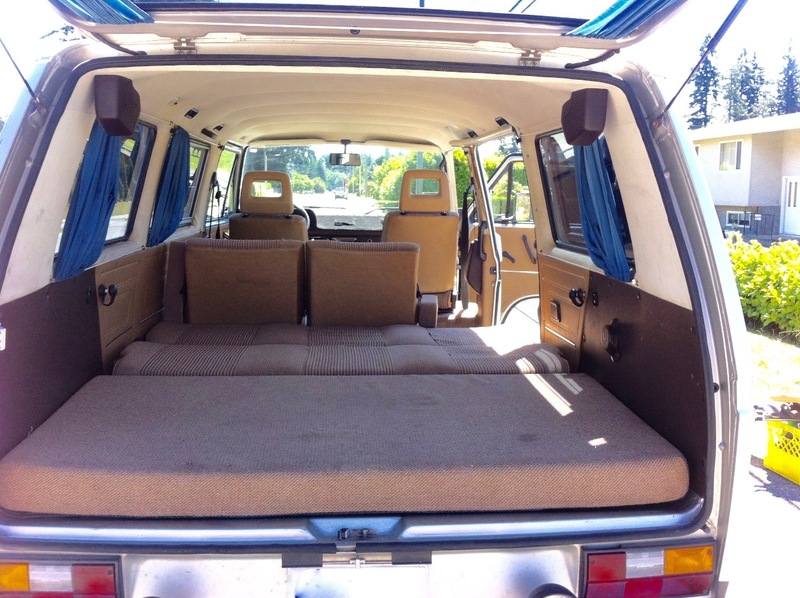 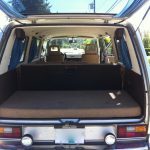 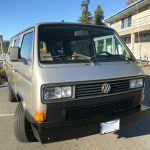 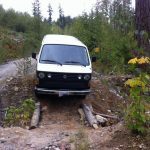 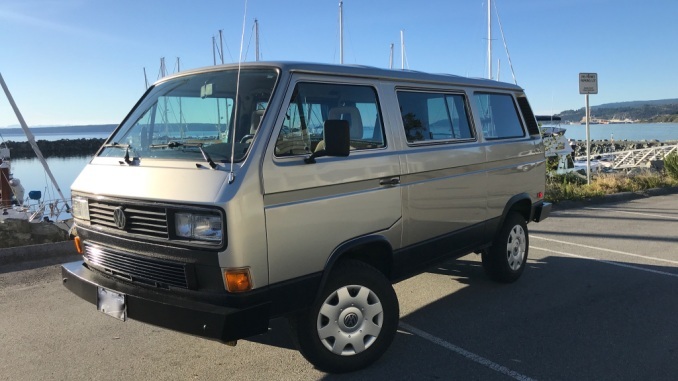 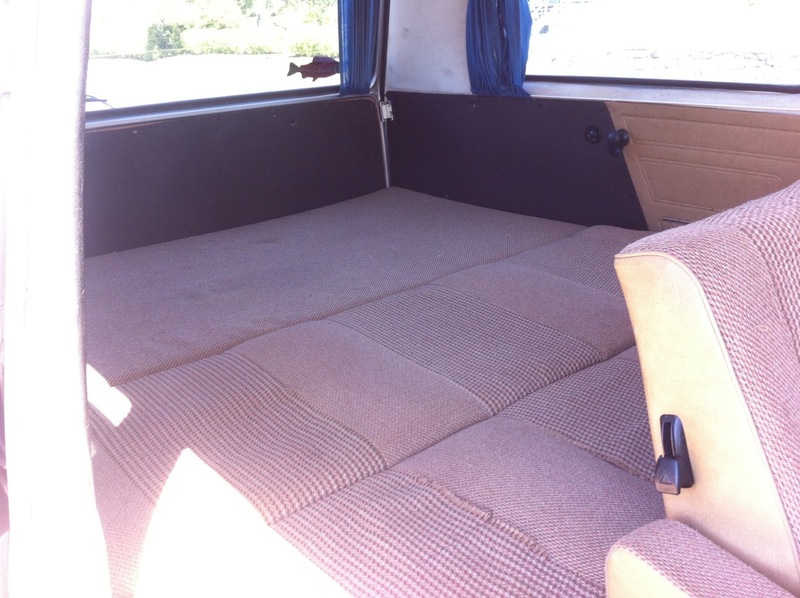 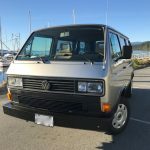 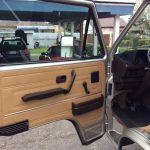 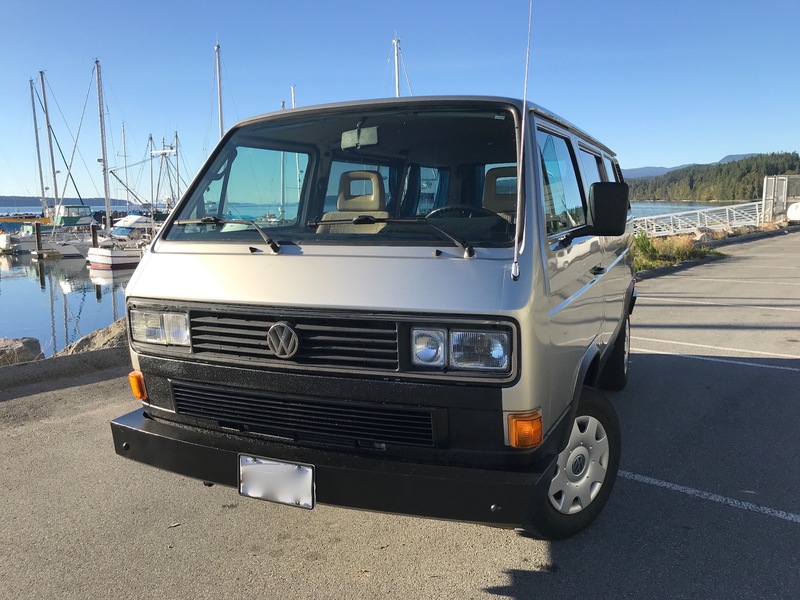 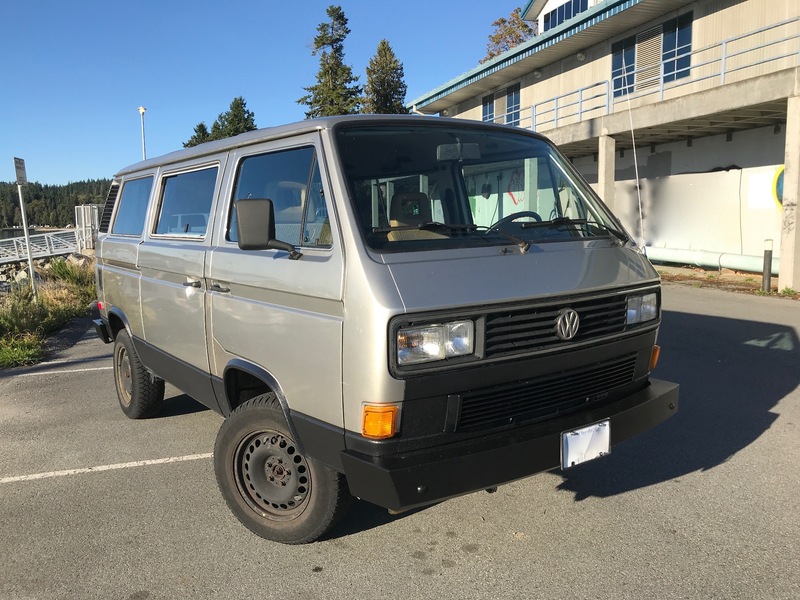 So we’ve now purchased a ’91 automatic Westfalia, which is much more comfortable for me to drive (my wife likes it too). 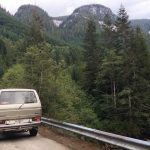 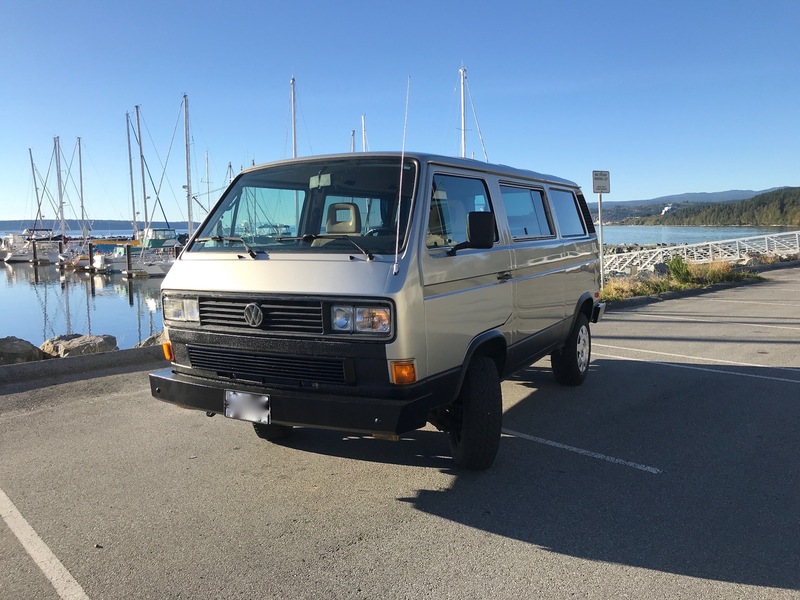 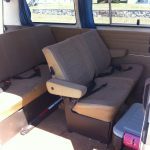 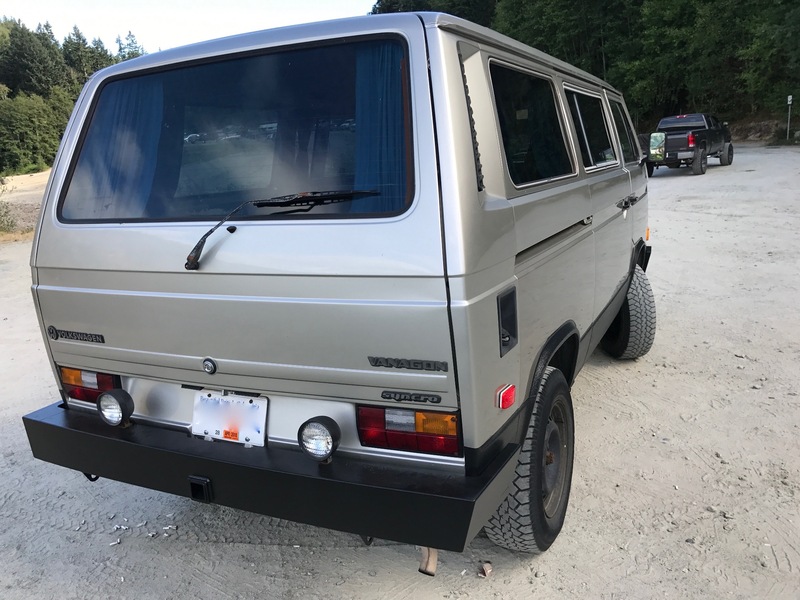 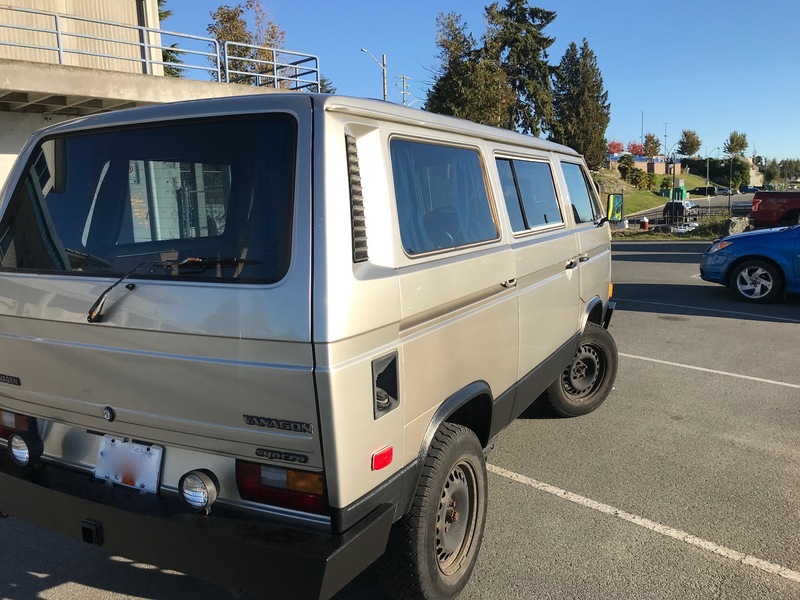 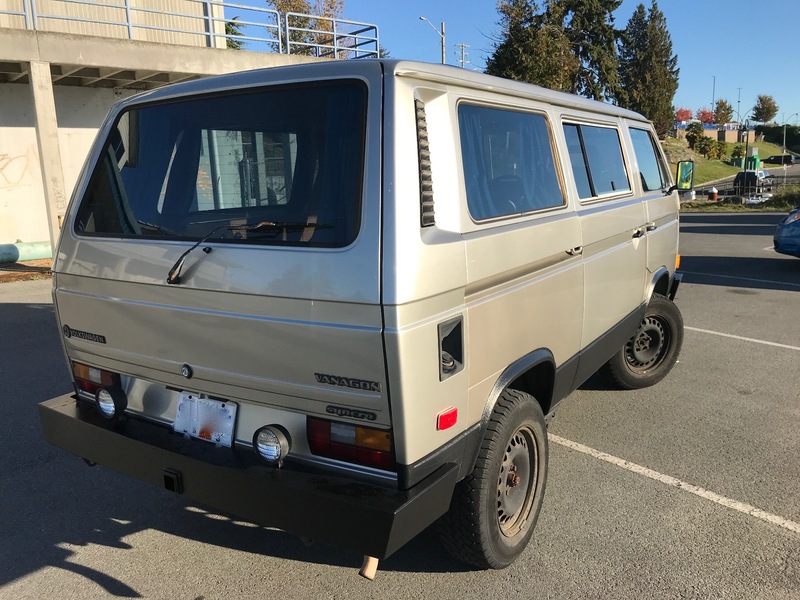 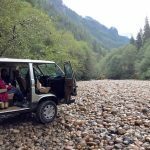 The Syncro is reliable, easily cruises down the highway at 120 kph (75 mph), and I was planning to do an engine conversion so we could more easily zip up those long mountain grades, but will leave that option to the next lucky owner. 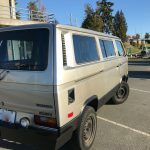 I’m asking $25,000 Canadian OBO ($19,464 US as of Oct. 6, 2017). 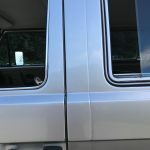 Here’s a link to the CARPROOF report: http://preview.tinyurl.com/m6jt2a7. 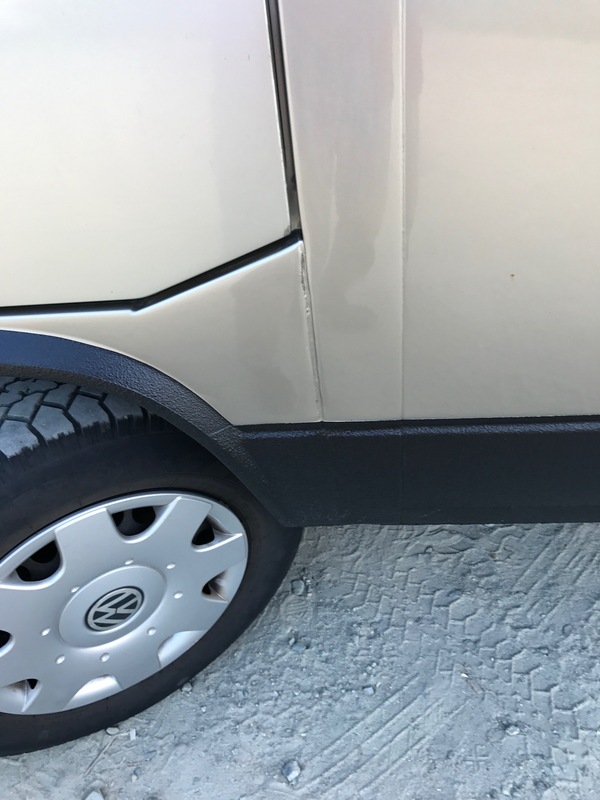 The only item that won’t be reflected on this July 2016 report is the minor accident that occurred on Feb. 3, 2017. 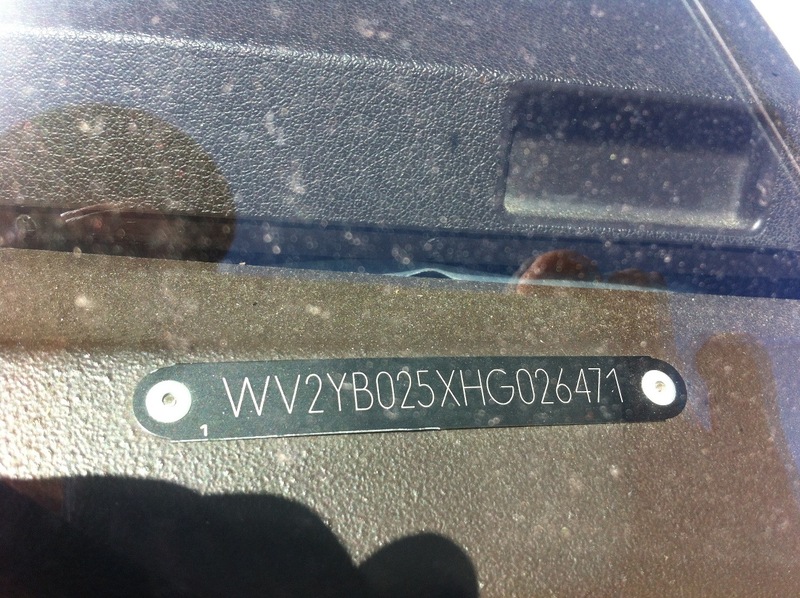 See details on that accident in the “NOTE” below. 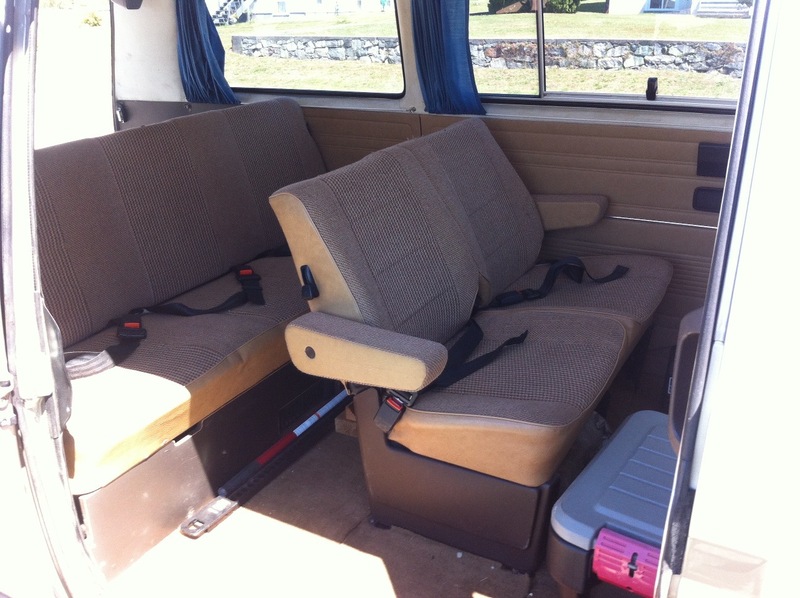 I have all the receipts. 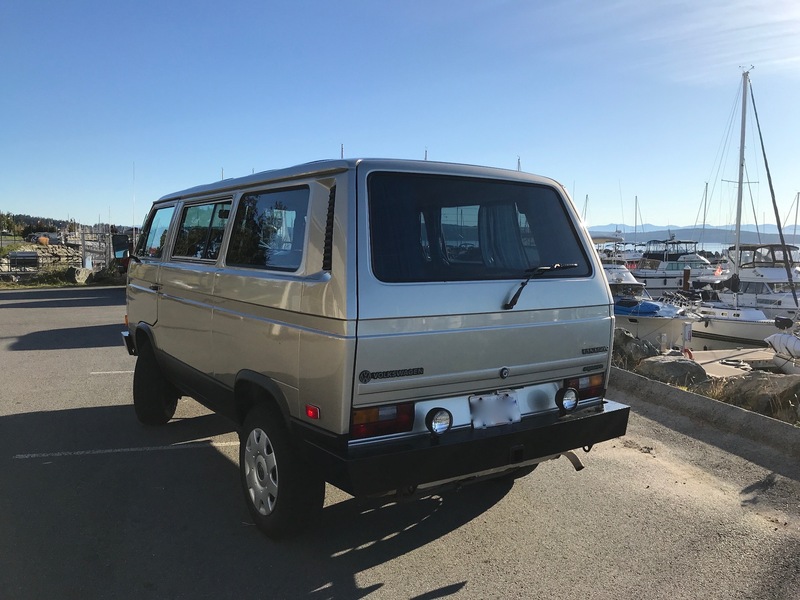 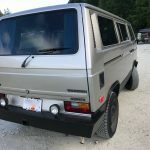 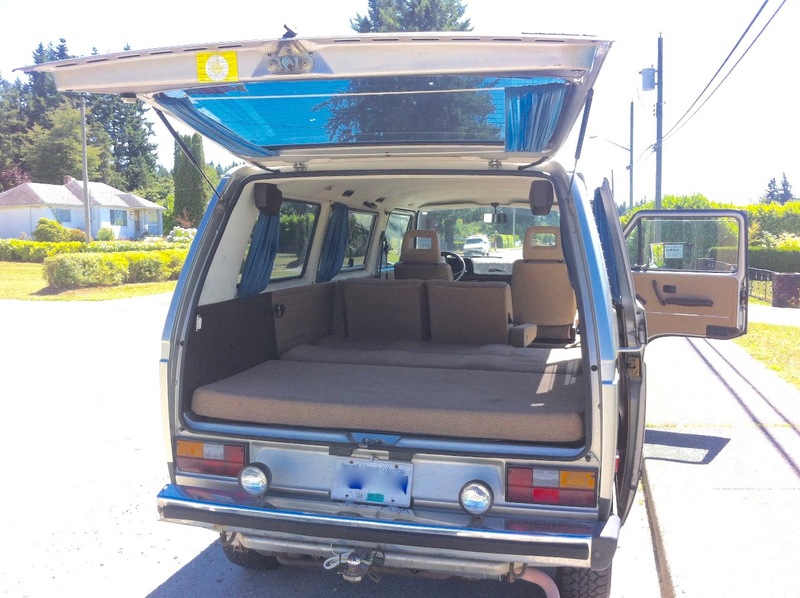 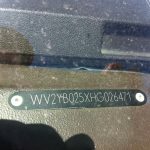 It also has one original 14″ spare tire in the carrier underneath the front of the van, and one full-size spare (16″ with new Pirelli tire) that could be mounted with a GoWesty or similar rear bumper swing-away tire carrier. 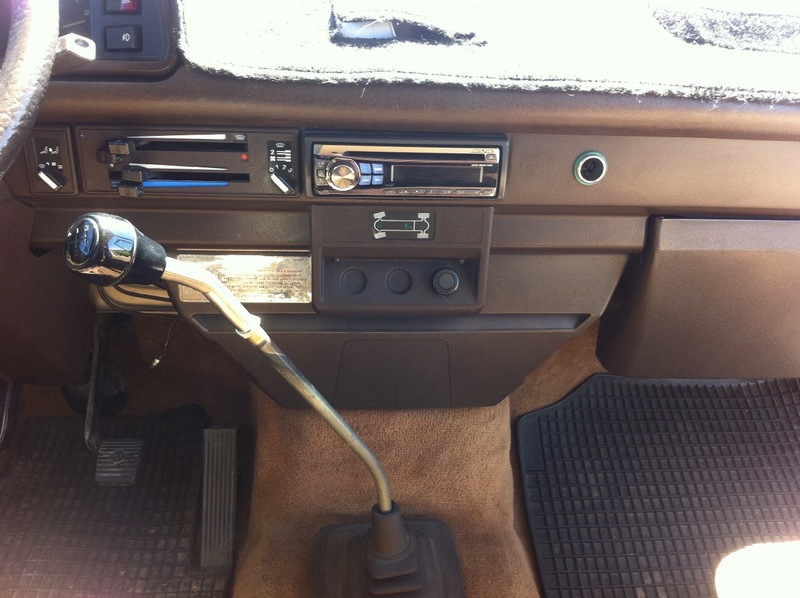 —fuel gauge is inaccurate, shows a quarter tank more than it really has! 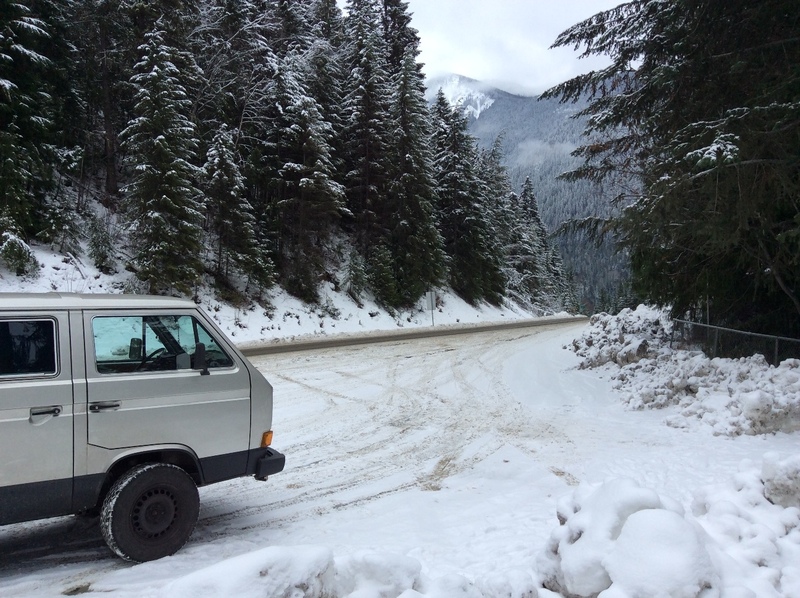 NOTE: Due to minor head-on collision with an on-coming, out-of-control SUV on snowy Denman Island, BC on Feb. 3, 2017 (I was going approx. 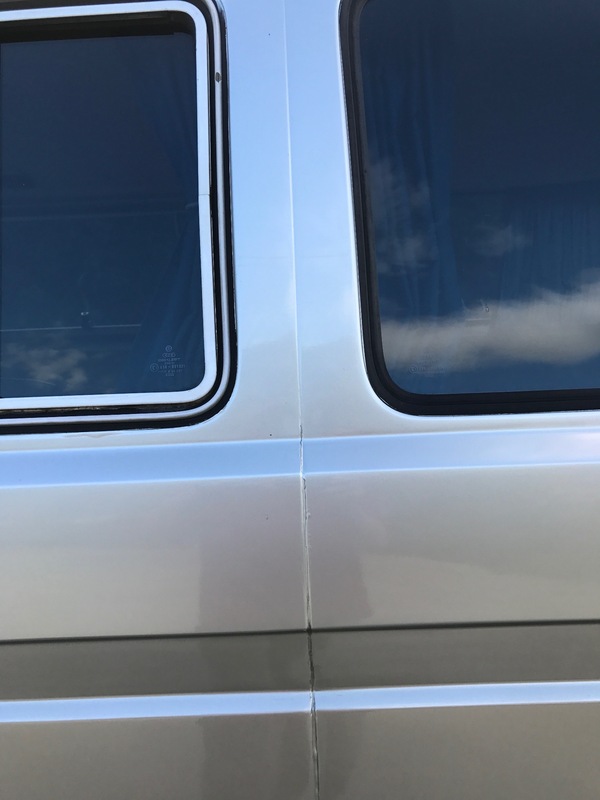 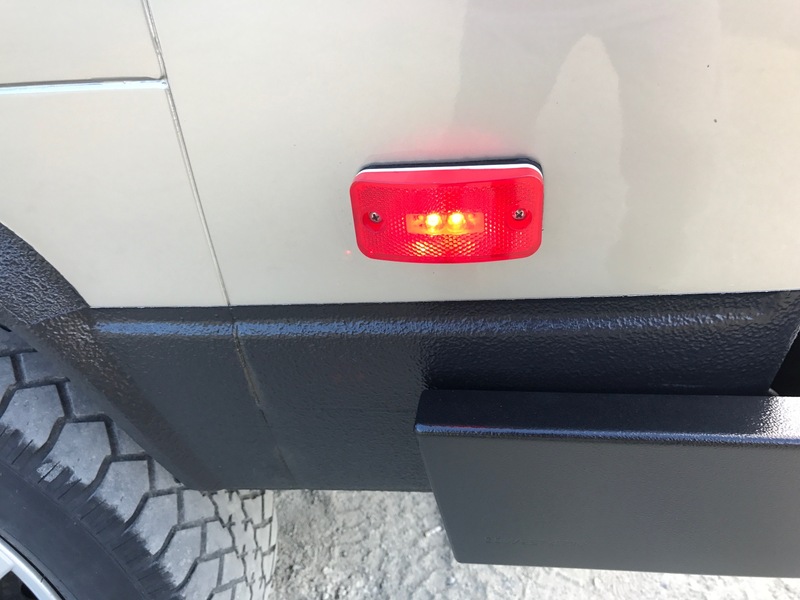 15 kph, they were probably closer to 20 or 30, at time of impact), a new front body panel, radiator, cooling fan, and new GoWesty heavy-duty bumpers have been installed, along with the fresh paint job on the front end. 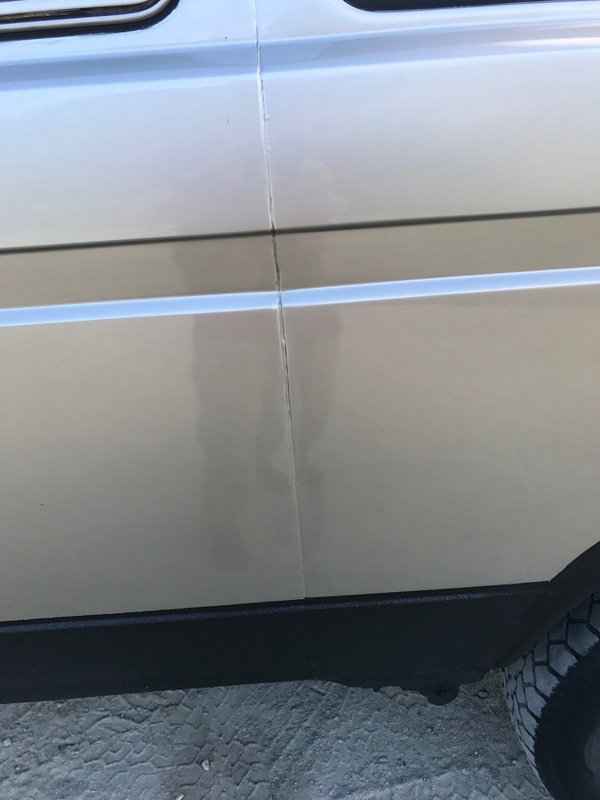 The repairs were worth $5,500 ($5,000 covered by insurance). 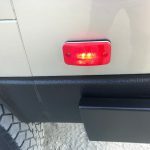 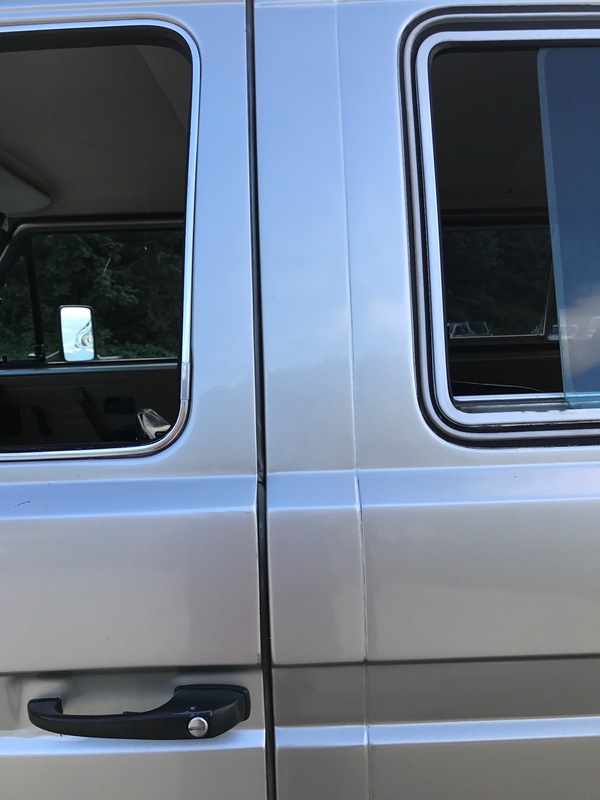 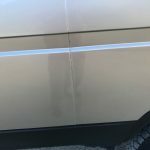 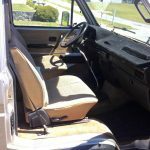 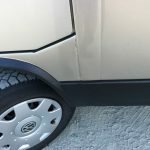 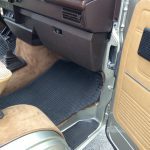 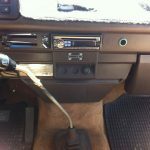 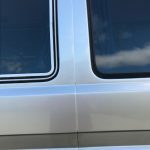 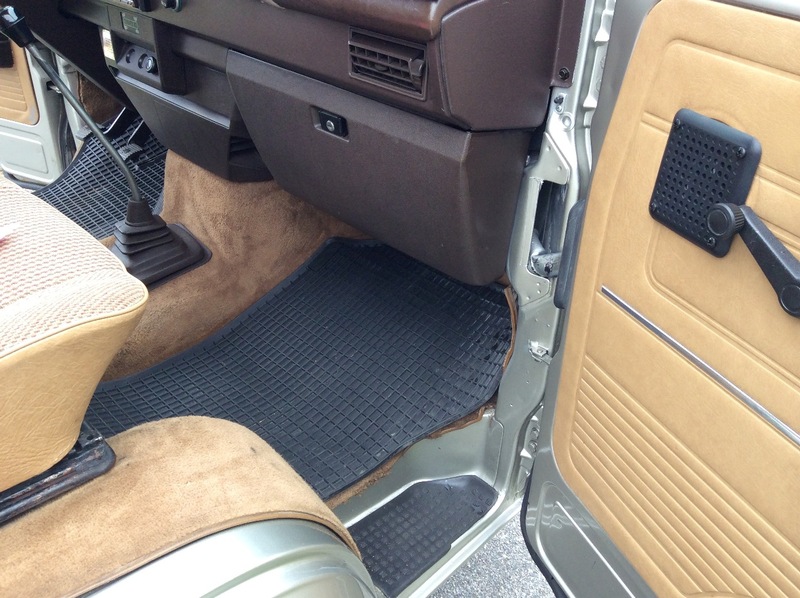 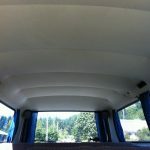 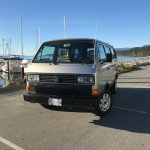 Bottom-line, the accident was a blessing in disguise as it’s resulted in essentially a brand-new front end that has the van looking better than ever. 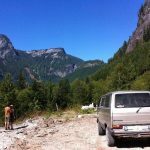 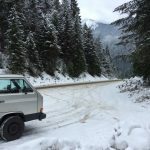 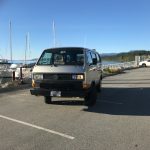 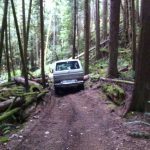 This is a solid vehicle that’s pulled me out of some tight spots in the Powell River backcountry, and she’s been great for long road trips, mainly to Victoria, Vancouver, Seattle, across northern Washington, and up into the snowy Okanagan and Kootenay mountains of BC. 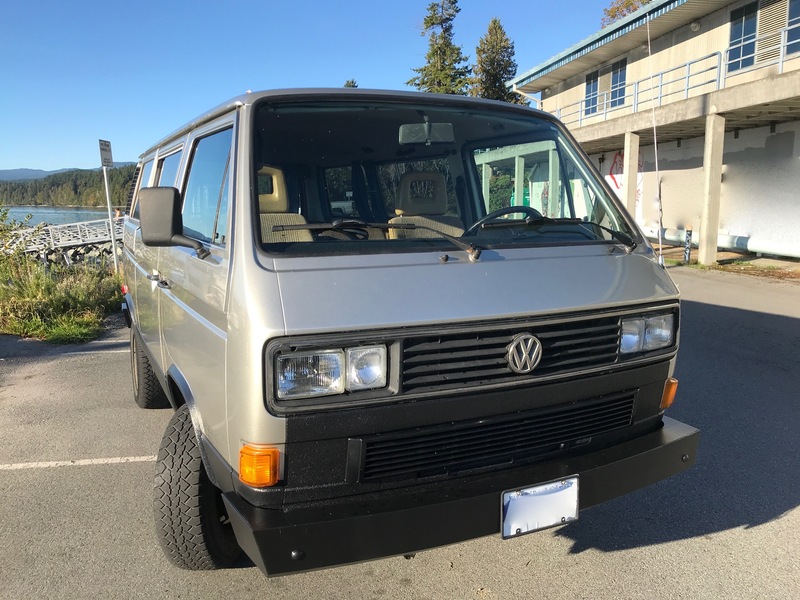 She’s ready for your further TLC and eventual engine upgrade to enhance the beastliness!